Still, I had good feeling about it. The drive in from the airport across the Red River, named more for its reddish brown silt than any political leanings, brought the curtain up on a thousand year world of character. 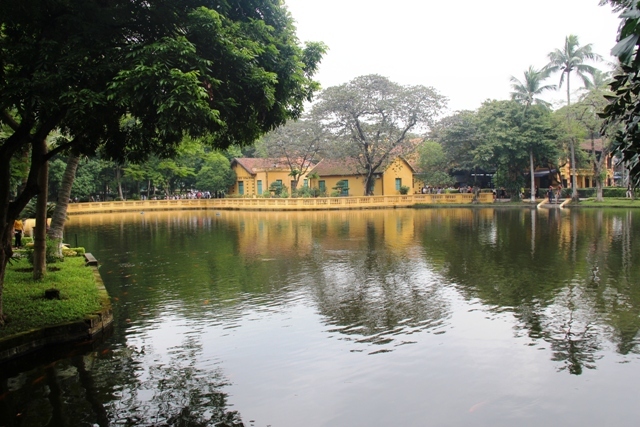 Aging French colonial architecture rubbed shoulders with mossy roofed temples and pagodas, glimpses of a burgeoning art scene kept popping into view and numerous lakes offered open space and tranquility. This was certainly all going in the right direction. I was dropped off at the Silk Path Boutique Hotel right in the historic centre and directly opposite Hanoi’s famous Hoan Kiem Lake, one of the major scenic spots of the city. It was just a short walk from here around the lake, to Hanoi’s lovely old quarter, a warren of fifty twisty streets originally named Hang, meaning merchandise followed by the products sold there and, in the most part, are still found there. As I took a stroll around the lake, there was a nip in the air, a pleasant change from the humidity of Ho Chi Minh City some 1,000 miles further south. Up here, there are distinct seasons, hot sticky summers and cool, wet winters and being November the weather was starting to turn. This didn’t deter the locals one bit, who were out looking at the lake views or practicing Tai Chi and Yoga at the water’s edge. Before properly exploring the old quarter I stopped off for a bite to eat at the Little Hanoi Cafe, something of an institution with locals and tourists alike. 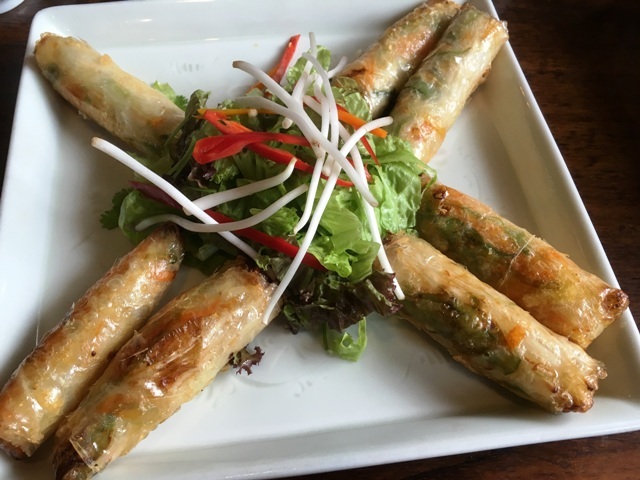 It’s a perfect place for tasty snacks and the spring rolls in particular, were sensational, as was the Banh Mi, a baguette sandwich introduced by the French. Lunch over, I took a cyclo tour around the old quarter to orientate. 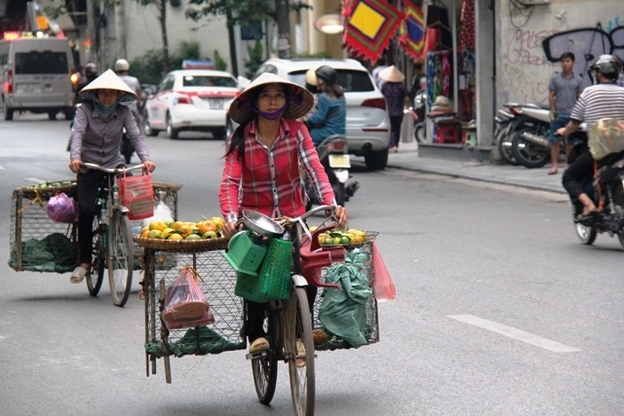 The cyclo is Vietnam’s version of a rickshaw, a bicycle with a canopied bench seat in front. “Silk! Silk!” said my panting driver pointing to a row of silk shops on one side of the street. “Jade! Jade!” he shouted again as we passed another street. Clearly my man was a little light on witty tour talk, but it was a fun ride, and for a man of his advancing years, pretty speedy too, weaving his way in and out of the traffic as we navigated the old quarter’s twisty lanes. 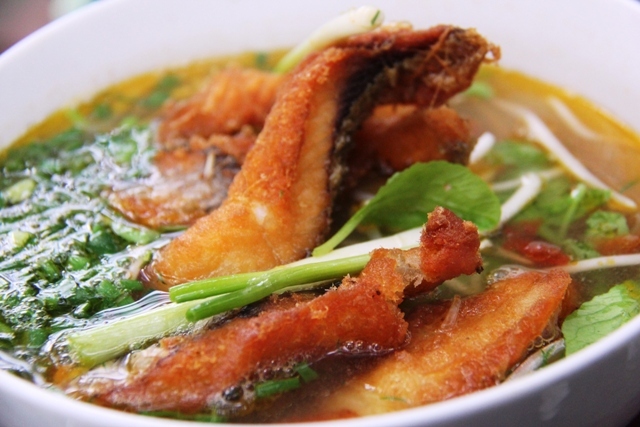 “To eat badly in Vietnam, you have to pay a lot of money” said Mark Lowerson from Street Eats, a street food guide. 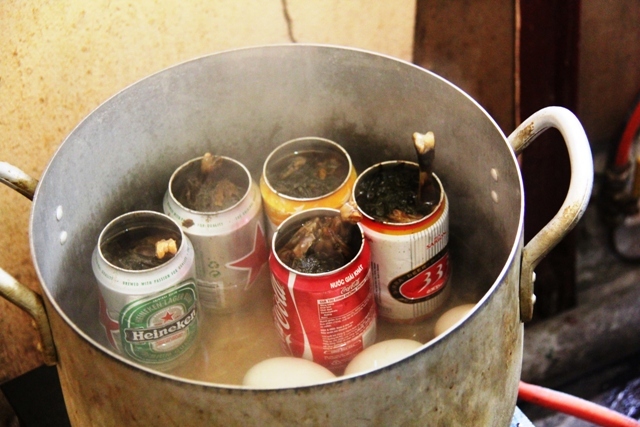 We had just finished eating at Hang Thai Lang, a tiny stall serving a poussin cooked inside a beer can. The owner’s small child had spent the entire time gazing at me while I negotiated the various delicious bits and pieces that emptied out from the ingenious small oven although I can’t vouch as to whether a Heineken can cooks better than a Foster’s. Mark’s take on choosing a safe street vendor was simple:” look at the floor around the tables” he said “if it’s full of rubbish, it’s a good place because it has a fast turnover.” “These places are masters of just one dish, and they do it very well.” As if to illustrate his point we stop at another tiny stall down a tight alley not far from West Lake and sample a piping hot Bun Ca, a very tasty fish noodle soup. We visited five vendors during our walk, each one entirely different, and finished in Duy Tri, Hanoi’s oldest and most esteemed coffee house. A family run business for generations. Their coffee creations were quite something including ice coffee with home made frozen yogurt or how about this one, coffee with wild rice…. Another wondrous culinary treat was offered up by my local guide Quan, a native of Hanoi, who insisted on taking me to his favourite street cafe for lunch. 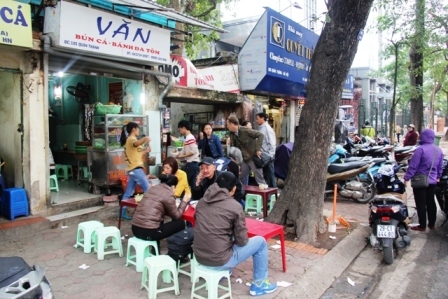 Cafe Van Com Nga on Le Van Huu Street was a sensational find; fresh spring rolls, meatballs, sausages wrapped in rice leaf and morning glory soup with fried bean shoots and spring onion were all delicious. We sat with the lunch time locals, perched on tiny plastic stools encircled by exotic aromas. 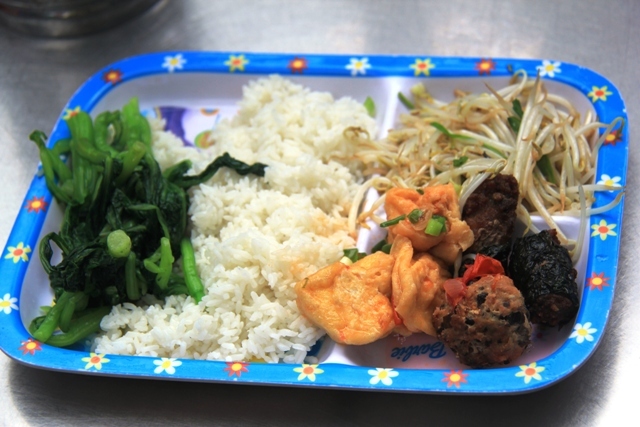 It was a memorable experience and such great value, at just VND 66,000 or £2 a head! Having mentioned Hanoi’s numerous lakes, I found Huu Tiep Lake particularly interesting. 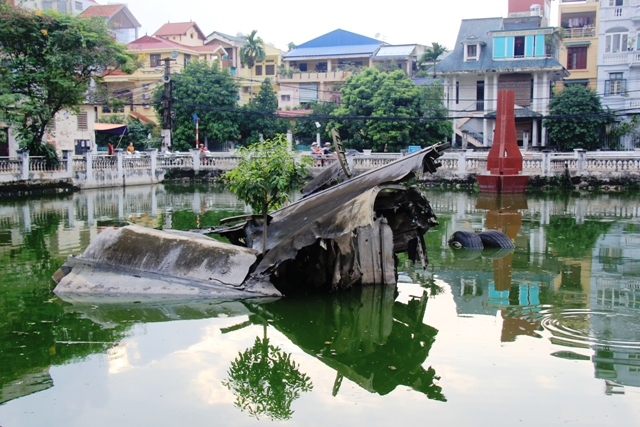 This small lake in a very quiet neighbourhood of Hanoi’s Ba Dinh district contained part of a US B52 bomber shot down in December 1972. The wreckage has been sticking out of the water ever since, and a small tree had begun to grow through the centre of it. I found it quite poignant. It was, dare I say it, a piece of art created naturally, out of a dark place in history. West Lake is easily Hanoi’s biggest lake with a shoreline of over 17k with the city’s oldest temple, the Tran Quoc Pagoda, abutting its eastern shore. 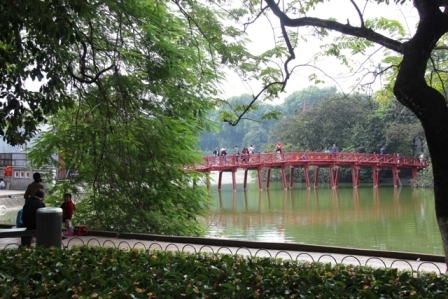 It is a huge space and a perfect example of why Hanoi’s lakes make the city such a charming place to visit. Keeping the water theme, water puppetry has been part of Vietnam culture for centuries and the Thang Long Water Puppet Theatre by Hoan Kiem Lake right next to the old quarter was a delightful diversion for an hour or so. A skilled team of puppeteers, themselves immersed waist deep in water behind the scenes, portray water based mini plays celebrating Vietnamese legends, communal festivals and rural life. The combination of live music, lighting and highly skilled puppeteering was well worth experiencing and at just £2 a ticket, well worth the admission. Officially the world’s biggest piece of ceramic art and perhaps the longest piece of art in Asia, runs through the centre of Hanoi. 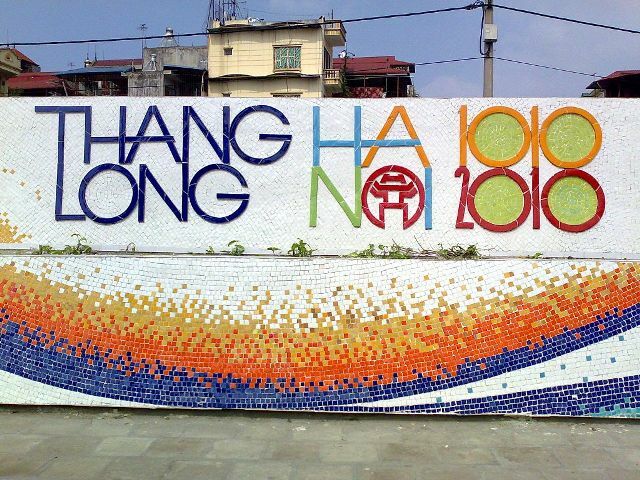 The Hanoi Ceramic Mosaic Mural is a 4K long hand crafted mosaic running along the wall of the dyke system and celebrates Hanoi’s Millennial anniversary which was in 2010. The Hanoi Ceramic Road as it called locally, was conceived by Vietnamese journalist Nguyễn Thu Thủy during an architecture contest and chronicles different periods throughout Vietnam’s history as well as modern art and paintings of Hanoi from local artists and children’s drawings. 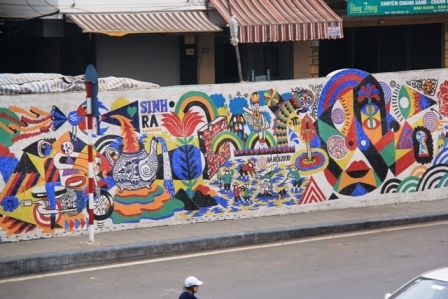 The mural stretches from Âu C Street to the Long Biên Bridge, itself in my opinion, a work of art and well worth exploring. 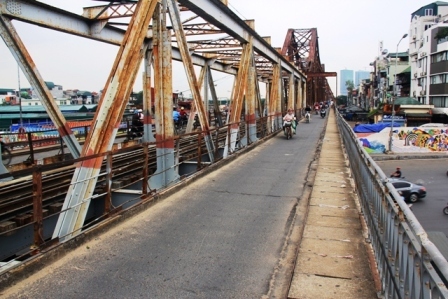 The Long Bien Bridge might look a bit ramshackle these days but it was state of the art at its opening in 1903 when it was the longest bridge in Asia. It was unsurprisingly a French initiative, even the famous Gustave Eiffel had a hand in it, but sadly it was strategically targeted during Vietnam’s many conflicts being the only bridge over the Red River. Today only cyclists and pedestrians are allowed to use it, (although the train still runs through the middle section) and walking along this lofty perch I got to see some interesting city life going on below me and a fantastic vista across the river and beyond at its far end. I couldn’t be in Uncle Ho’s home town without duly paying my respects, he was the father of the revolution after all. Ho’s compound was impressive and contained Ho Chi Minh’s House, the simple stilt house he lived in when he was president, which he favoured over the opulent Presidential Palace next door, which he only used for visiting dignitaries; the Ho Chi Minh Museum which tells the story of Ho through art and images ( the third floor exhibition was particularly interesting ) and his mausoleum with its glass coffin, guarded 24 hours a day by four guards of honour. I joined the daily line to visit Ho’s final resting place, and have to admit, it was a sobering experience; the queue of orderly participants pausing for a few moments to gaze at his embalmed remains. Back at Uncle Ho’s little house which is surrounded by hundreds of rare Vietnamese plants his carp pond was still going strong. Try clapping your hands near the water, you might get rewarded with a visit from a carp or two. 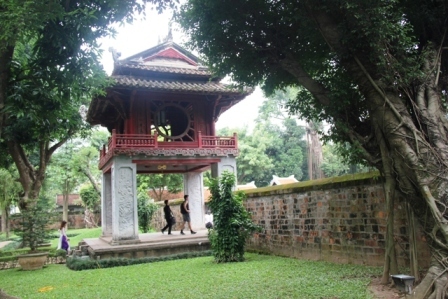 The Temple of Literature may sound a little dull, but trust me, it was a worthwhile visit. This 11th century university dedicated to Confucius began as an imperial academy, a place reserved for royalty, noblemen and bureaucrats but then expanded to accepted only the very best scholars in the land. The names of graduating students were carved on giant stone turtles and today’s students rub their hands on the turtles for good luck. The temple is always where Hanoi’s graduating students come to get their group pictures taken. 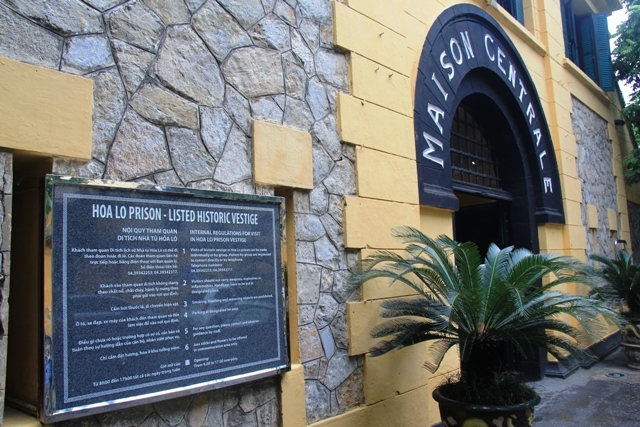 Hoa Lo Prison or “Maison Centrale” is a must see on any visit to Hanoi. Built by the French in 1896 it was used as a grim prison and place of execution for political and war prisoners during the French occupation. It later became infamous as the “Hanoi Hilton” when captured American pilots were incarcerated there during the Vietnam War. Their sarcastic moniker was due to the excellent treatment they experienced as POWs because of their propaganda value. Indeed American senator John McCain was a prisoner there for six years. 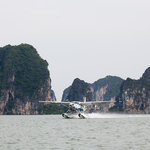 There are various excursions to be had outside of Hanoi from citadels and temples to snake farms, but the best of them all was Ha Long Bay, Vietnam’s jaw dropping cluster of karsts and islets of its north east coast some 3 hours away by car or just 45 minutes by seaplane.. A one or two night junk cruise is something you should not miss..
No visit to Hanoi would be complete without a visit to the night market, held on Friday, Saturday and Sunday evenings in the old quarter from 6pm to 11pm. A myriad of stalls offer all kinds of merchandise from cheesy souvenirs to clothing and street food. Always barter and never accept the first offered price, but always remember to smile when you offer your price and you might get lucky. 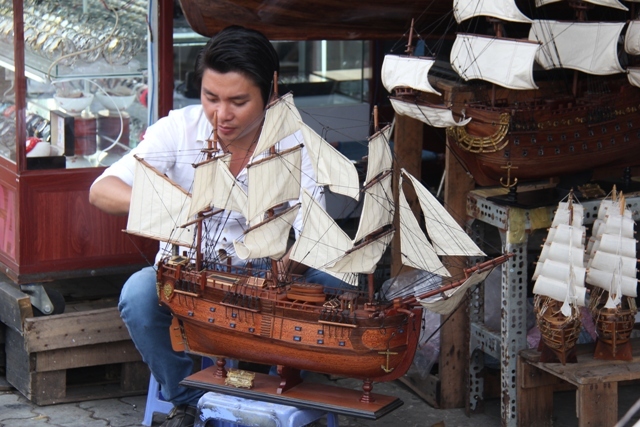 There are some bargains to be found in Hanoi particularly when it comes to silk, lacquer ware and embroidery, particularly quilts and tablecloths. Many of the shops in the old quarter have remained in families for generations and whilst some offered me a small discount, generally I found it was not worth the hassle as the merchandise was fantastic value anyway. I bought a handmade reversible silk jacket for my wife for just £30. So did my box of chocolates metaphor stack up? For me, surprisingly it must be said, every bite of my hello to Hanoi selection box was tasty morsel. Vietnam’s capital was a delight; much more compact than Hi Chi Minh City, less traffic, less frenzy and for me, a lot more appealing. I for one, can’t wait to go back. 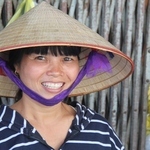 The bespoke travel experts Experience Travel Group (+44 203468 6268) offer a 10-day tour of Vietnam from £2,567 per person, including flights, transport, accommodation and selected excursions. Vietnam Airlines offers the UK’s only nonstop flights to Vietnam, with six flights per week from Heathrow to Hanoi or Ho Chi Minh City on new Boeing 787-9 Dreamliners – and excellent onward connections via its comprehensive network of over 40 destinations in Asia, including 23 within Vietnam and Indochina. 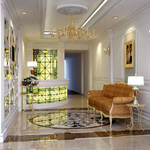 Return fares to Ho Chi Minh City or Hanoi currently start from £391 or £425 per person respectively, inclusive of taxes.